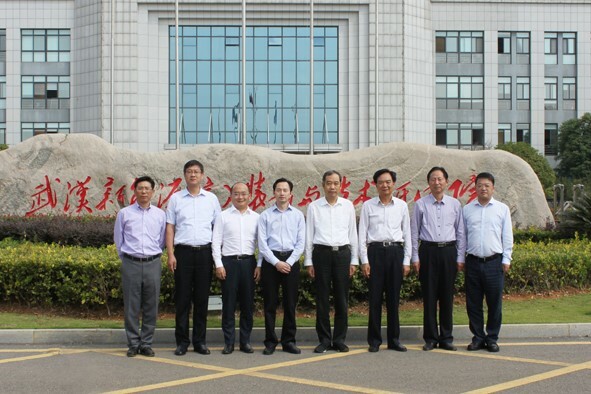 Wuhan—October 18th, President Xu Xiang of Daqo Group accompanied with the chairman Lu Chaoyin of YangZhong Development Association, chairman Feng Jinyue of the Yangzhong CPPCC, the deputy chairman Shi Zhusheng of YangZhong Development Association, the Chief risk officer of Chongqing Rural Commercial Bank, Deputy Secretary of Zhenjiang Municipal Committee—ZhaoJun to visit the Wuhan New Energy Institute of Access Equipment & Technolgy. 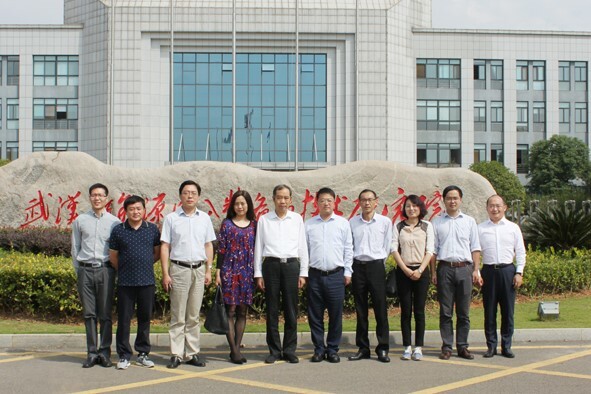 Academician of Chinese Academy of Engineering, and the Dean of Wuhan Institute, Mr.Ma Weimin introduced the research focus and direction, and the great achievements in the field of internet access equipment of New Energy area (PV, Wind Power). All the visitors gave a high evaluation of our Institute. 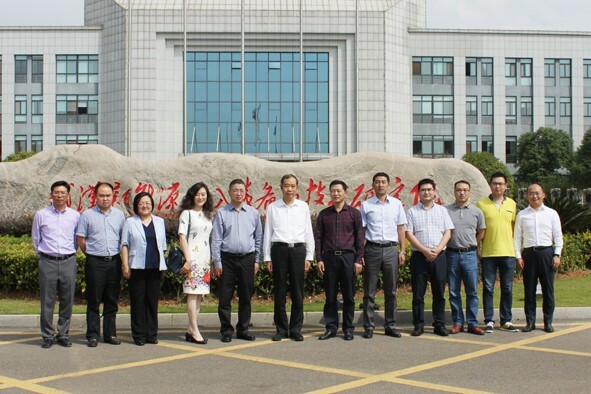 The Deputy President Shi Dafeng of Daqo Group accompanied the expedition.